David received his Bachelor's degree from the University of Pennsylvania. He was an immigrant himself, so to speak--though not to the United States. After graduating from college, he moved to Paris, France for three years to work as an Ex-Pat Employee. Upon returning to the United States, he began attending the University of Connecticut School of Law. He graduated from that school in 1981, and was admitted to practice law in the same year. He opened his own firm soon after, and gradually narrowed his practice to focus exclusively in immigration and naturalization. 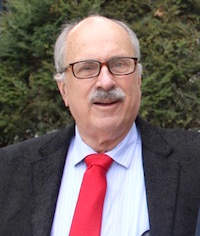 He also served as an Adjunct Faculty Professor at the University of Connecticut School of Law from 1986 until 1996, where he taught a course on Immigration Law. David currently focuses his practice on employment-based green cards (EB-1A, EB-1B, NIW, and more), Foreign Labor Certification (PERM), and temporary nonimmigrant visas (H-1B, TN, L-1, O-1, and more). He also accepts family-based immigration cases. Attorney Zitzkat has a wealth of experience to draw upon in his 35 years of practicing law, having represented clients in Removal Proceedings, Asylum, Family Law, and more. In addition to native English, David speaks French and German. 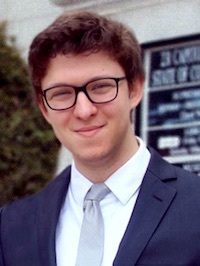 Jon-Marc LaRue Zitzkat received his Bachelor's degree from the University of Connecticut in 2011, graduating from the Honors Program. He started attending the University of Connecticut School of Law that same year, graduating in 2015. He was admitted to practice law in Connecticut in 2015. Jon-Marc has worked in immigration practice at the Zitzkat Law Firm for three years as an attorney--seven years, if you count his time as a paralegal. During that time, he has gained extensive experience in numerous immigration contexts, including nonimmigrant visas (H-1B, O-1, L-1, and R-1), employment-based green cards (EB-1A, EB-1B, and NIW), Foreign Labor Certification (PERM), and more. Since his admission to practice in 2015, Jon-Marc has independently represented several clients in both business and family contexts. With a sterling record of both NIW and EB-1A approval, his clients have come to know him as a reliable and professional advocate. In addition to his work in business and family immigration, Jon-Marc worked as a Student Intern at the University of Connecticut Asylum & Human Rights Clinic for one semester, where he assisted a victim of past persecution in preparing and filing an application for asylum. After his admission to practice, Jon-Marc continued to represent this client, including attending the interview at USCIS. This client was eventually granted asylum in 2018. The materials on this website are for informational purposes only. They are not intended and should not be construed as legal advice. This information is not intended to create, and receipt of it does not constitute, a lawyer-client relationship.